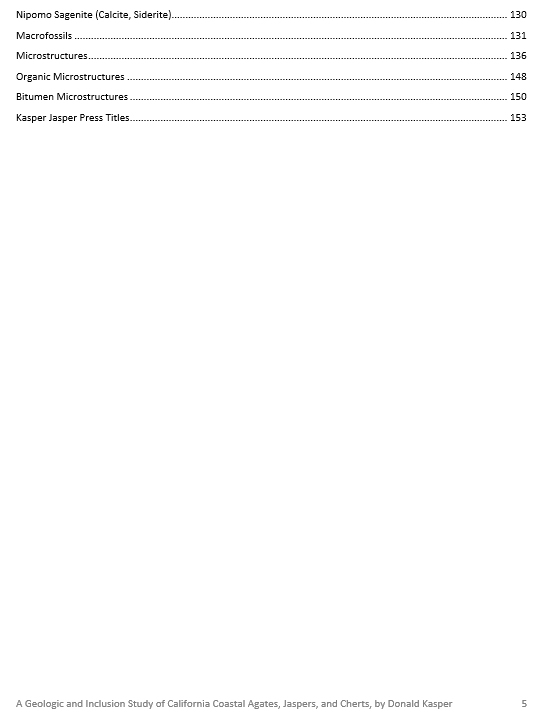 This site is regularly updated, which causes Google to report the site is hacked. 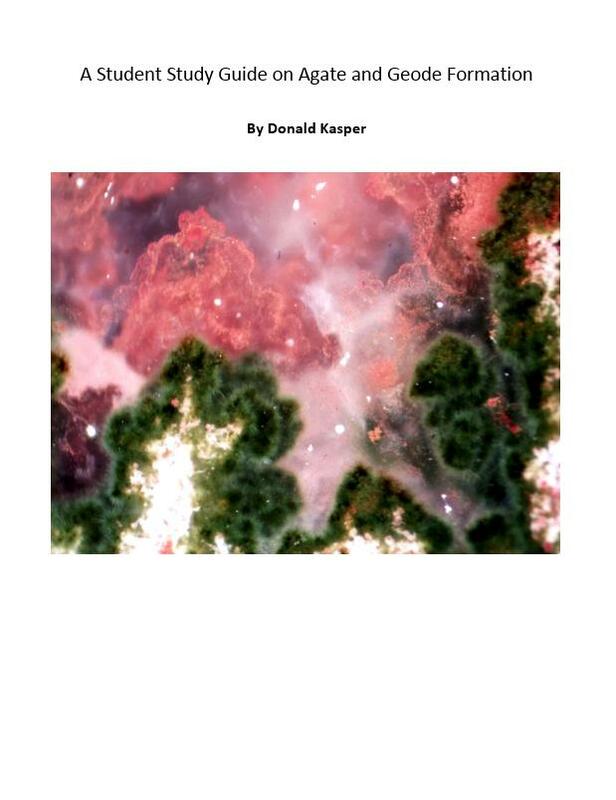 This is fake news, and Google bots are not intelligent--Donald Kasper 9/15/17. 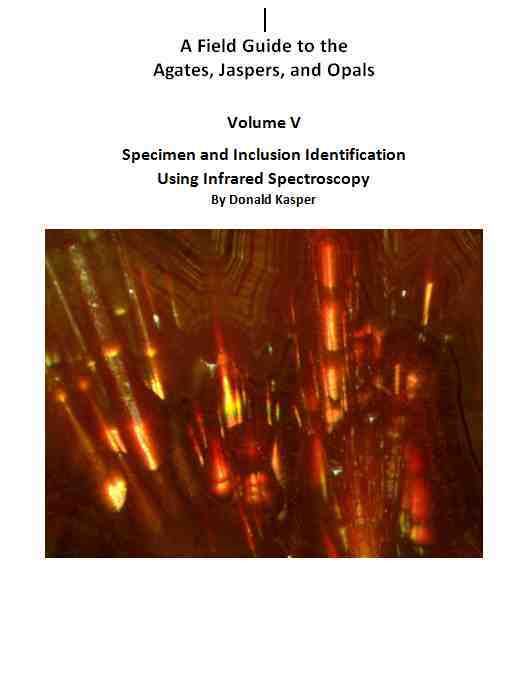 The first full book on identifying semi-precious stones in reflectance infrared. 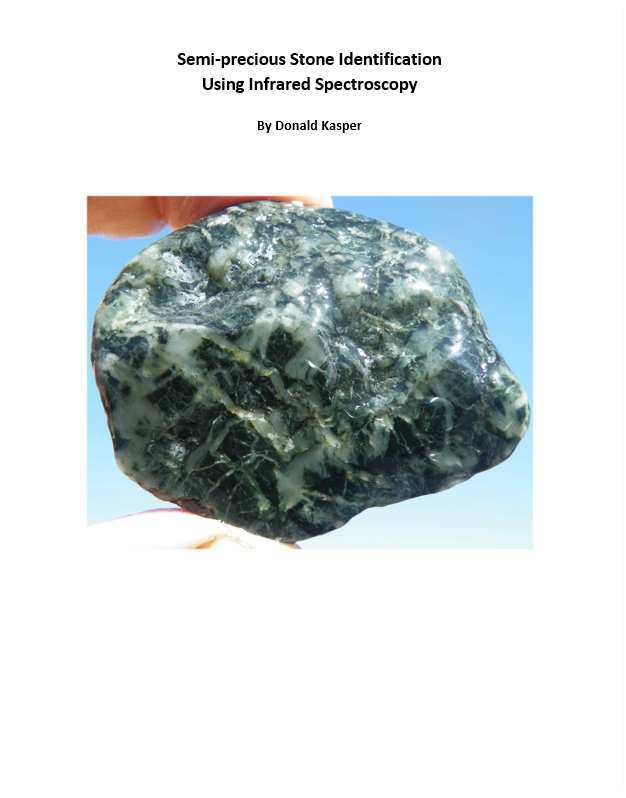 Covers faceted stones and shaped stones for jewelry, carving stones, ornamental stones. 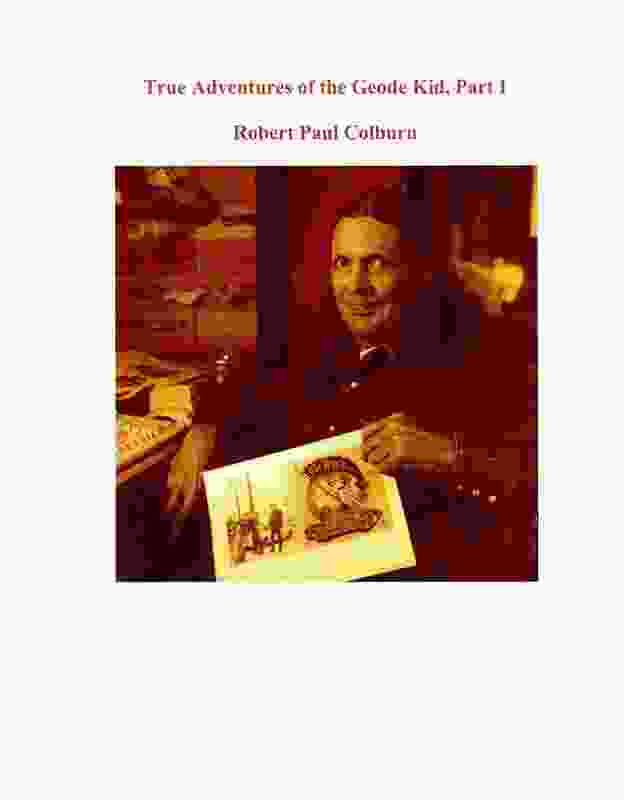 Read a brief description of this book. 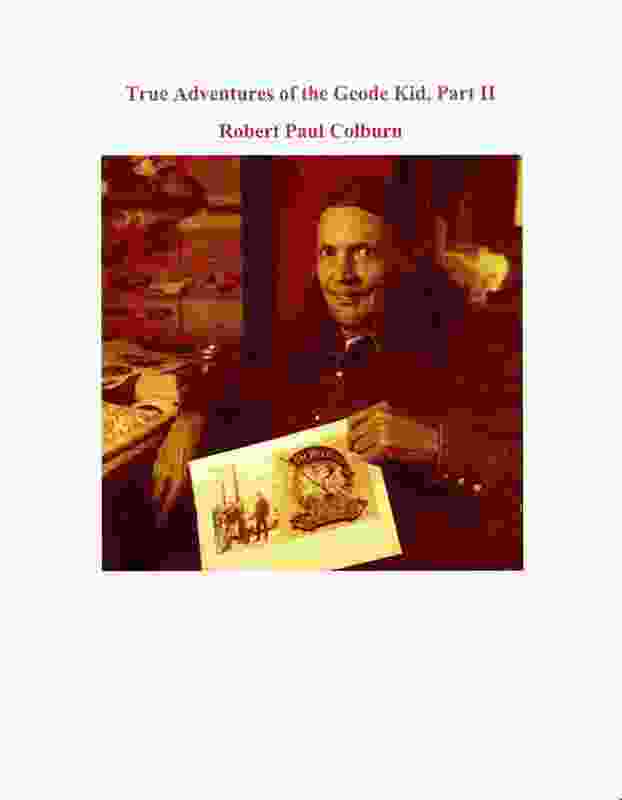 Read a full description of this book. 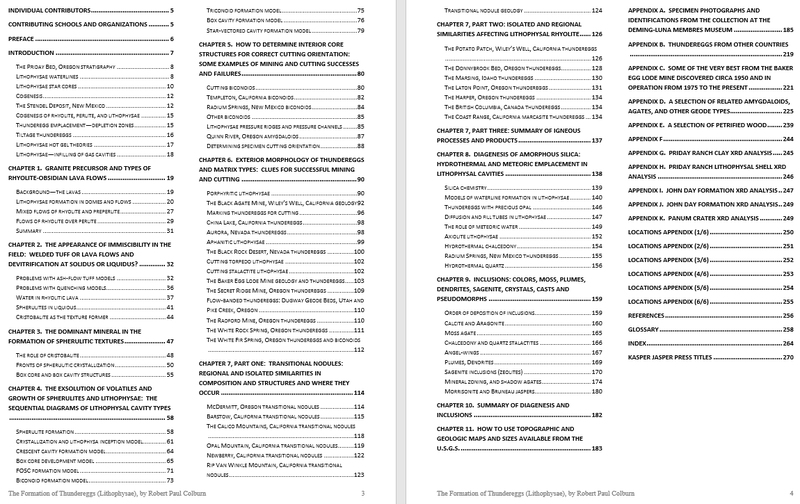 Read the Table of Contents of this book, pages 1-2. 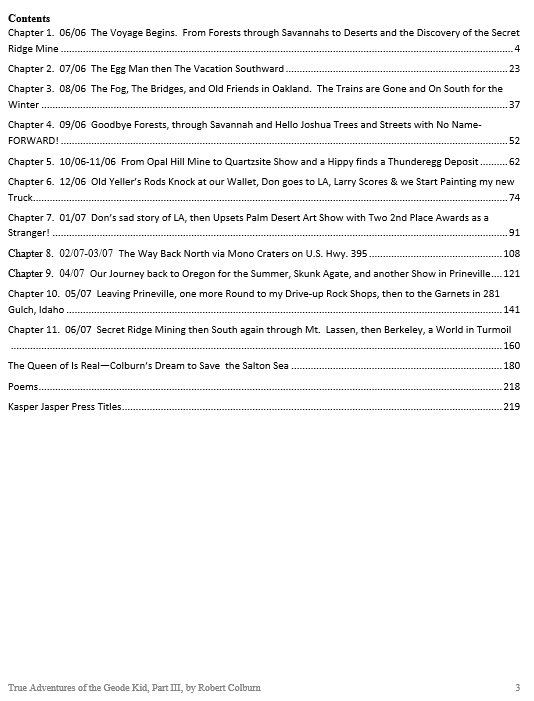 Read the Table of Contents of this book, pages 3-4. 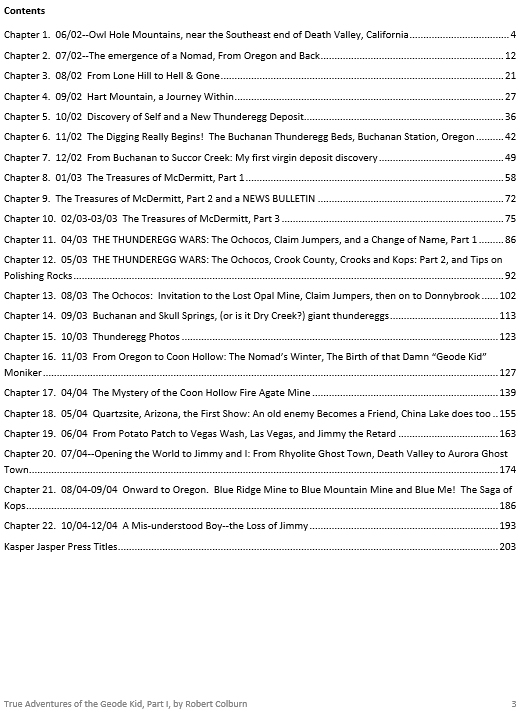 Read the Table of Contents of this book, pages 5-6. 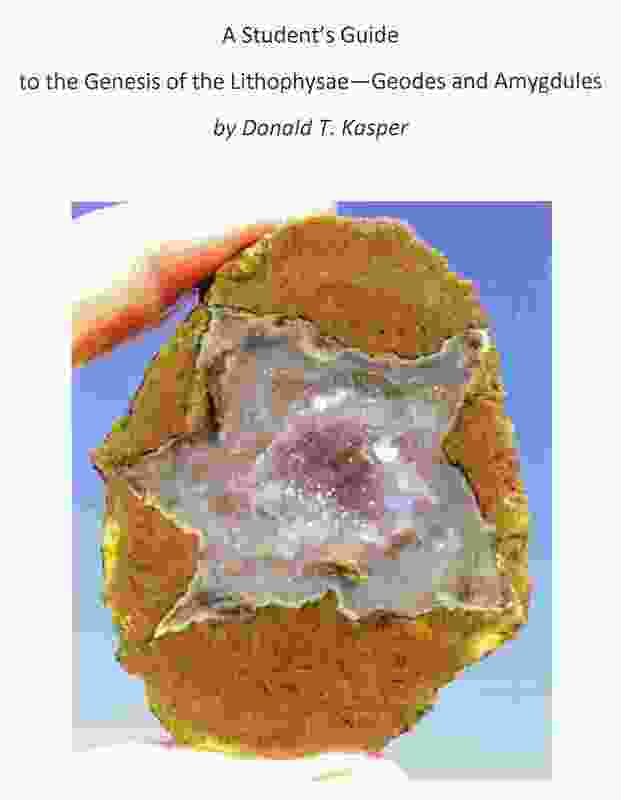 Analysis of China Chrysanthemum Stone showing coesite--a potential impact event? 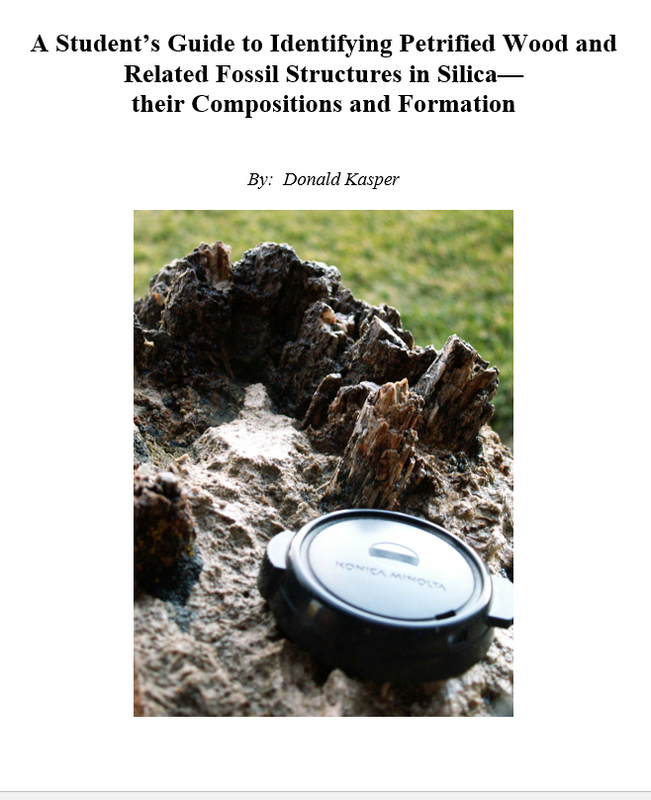 Is mariposite a phengite or fuchsite mica? 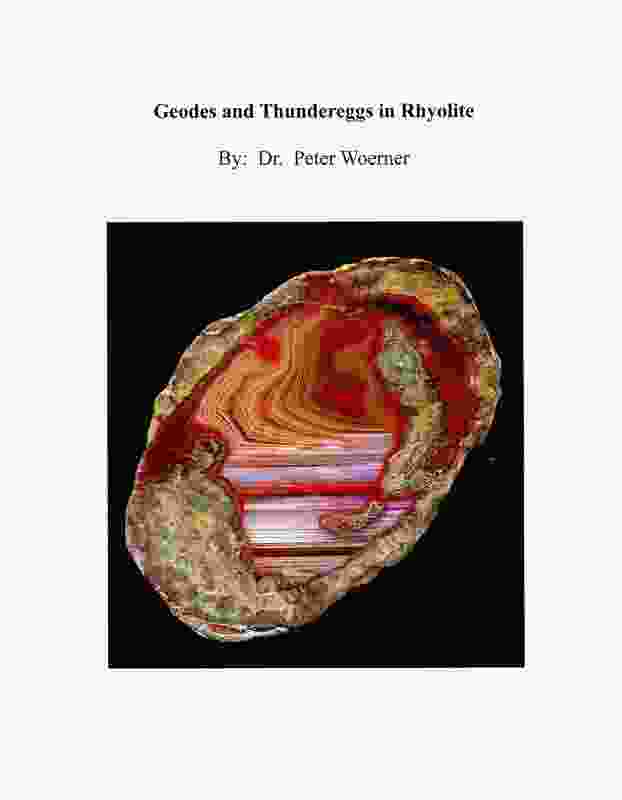 Does African pietersite have riebeckite (crocidolite)? 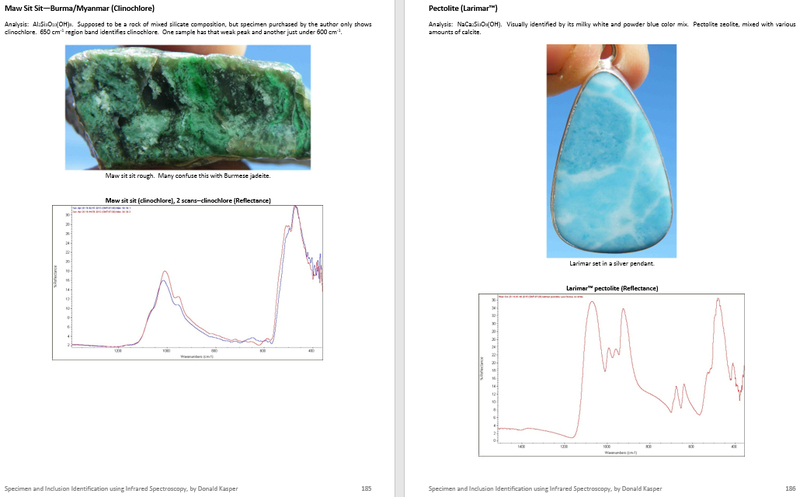 An infrared identification of White Buffalo (TM)--is this turquoise? 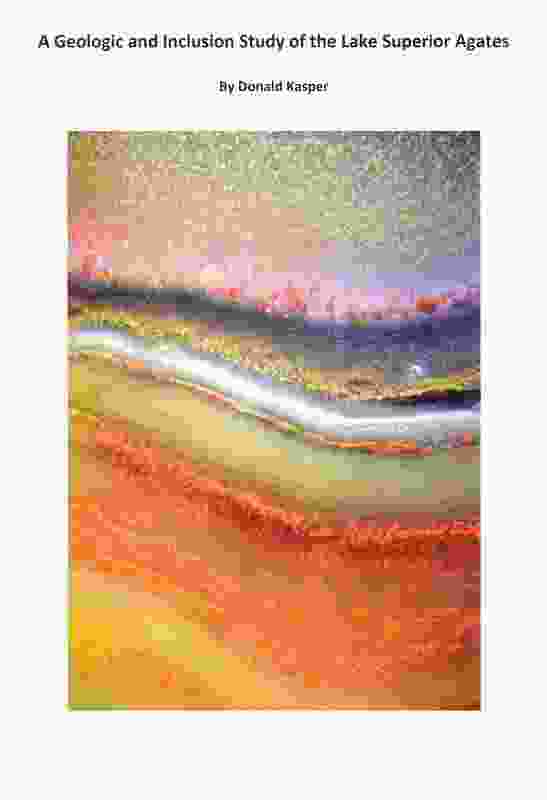 What is Australia print stone? 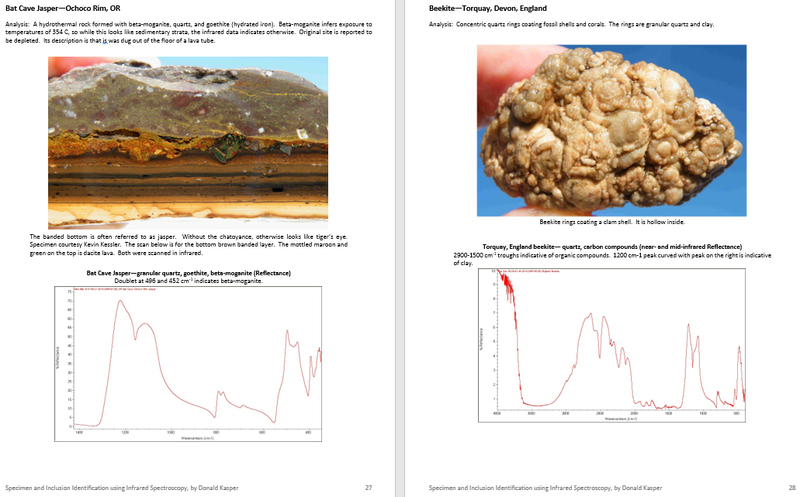 Are they stromatolites? 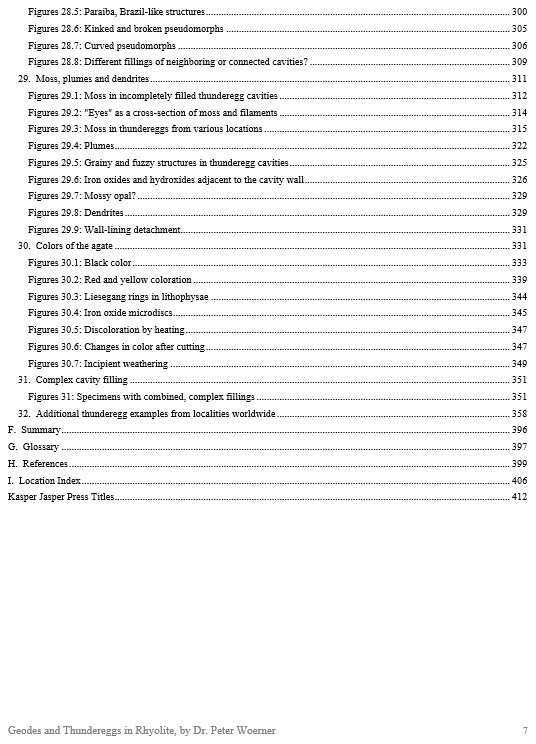 An infrared analysis. 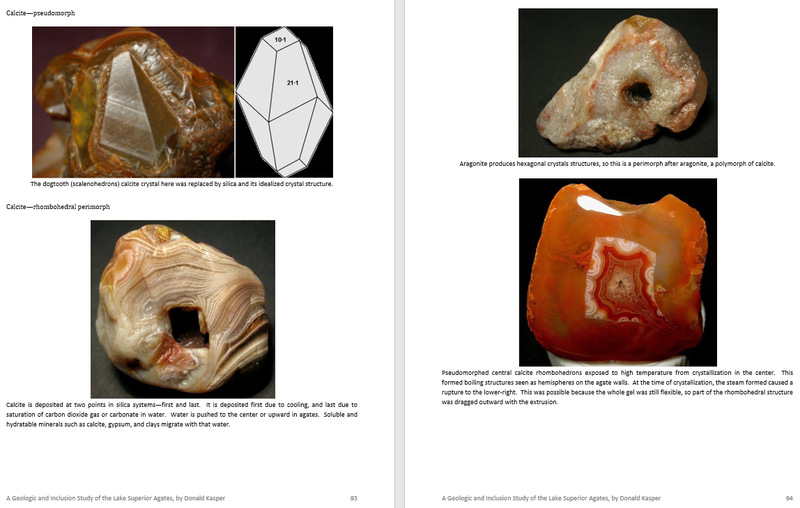 How did the Mongolian Gobi agates form? 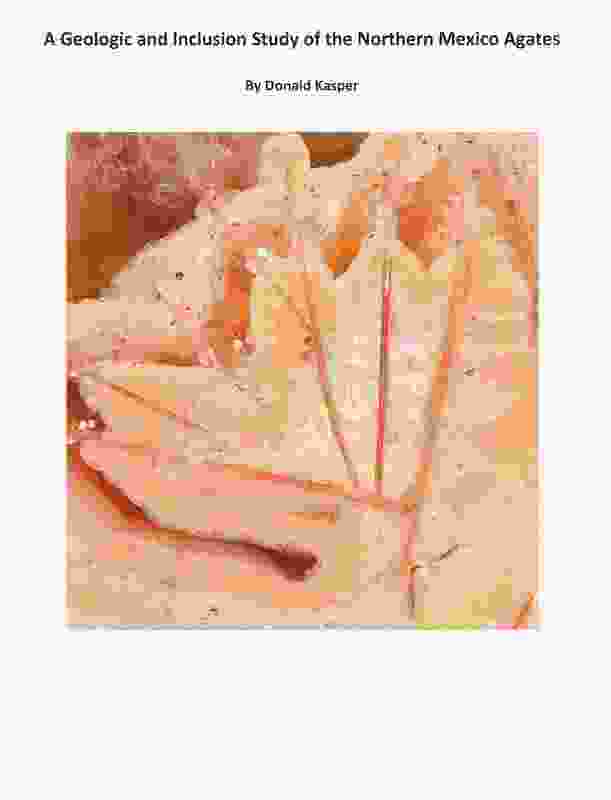 An infrared analysis. 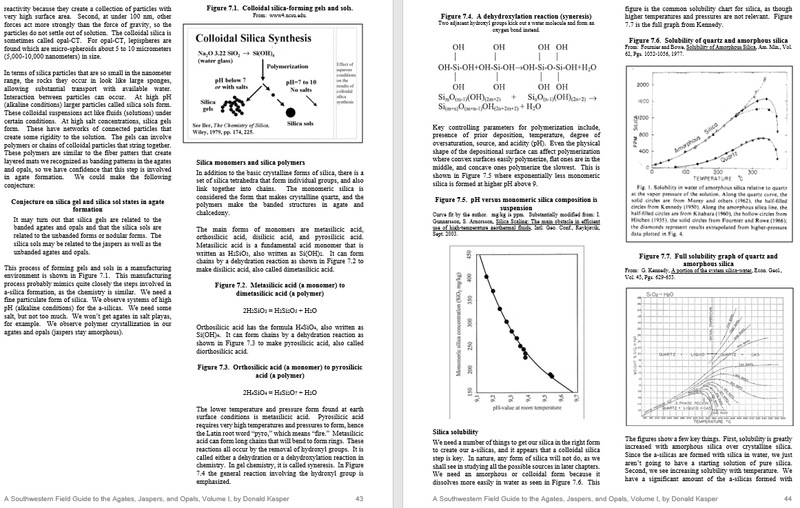 When is halite not cubic? 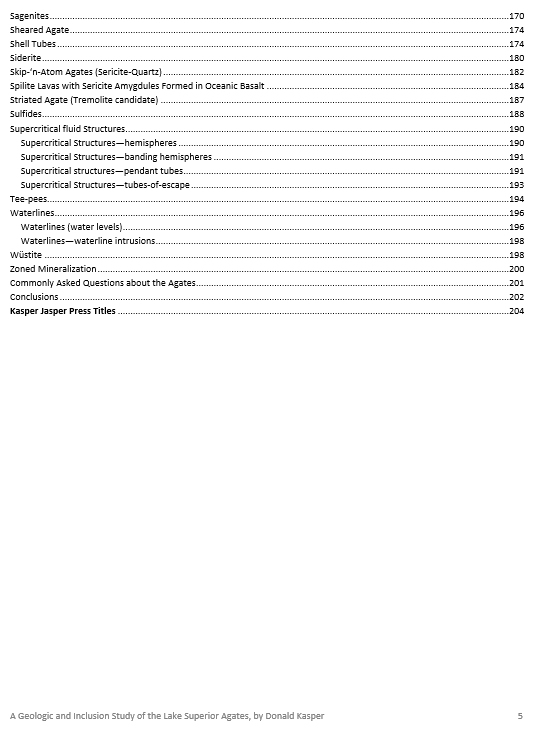 When it is prismatic, octahedral, or combined prismatic-octahedral. 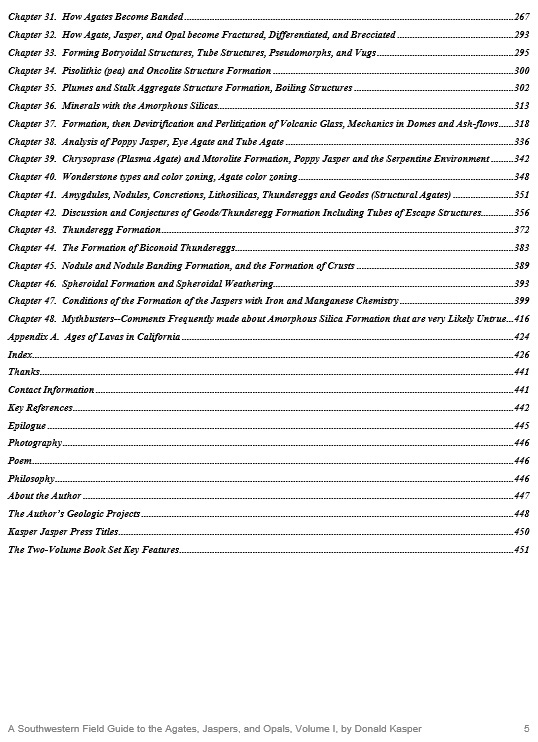 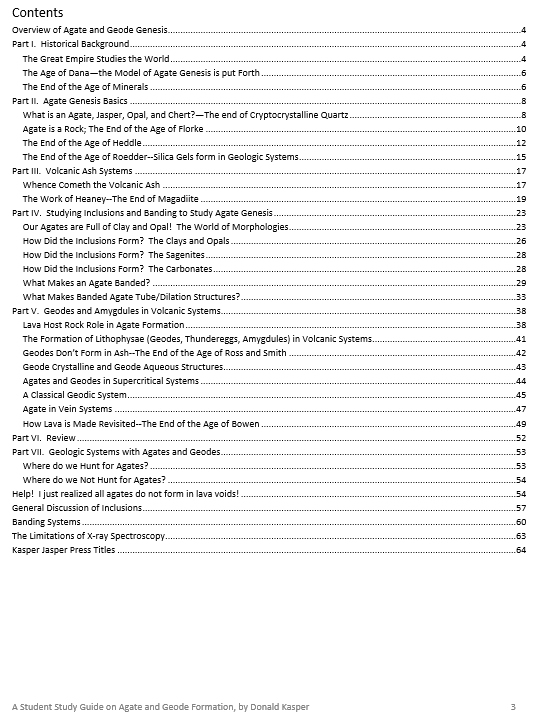 The author's "magnum opus" (grand work) describing models of genesis of all the agate inclusions. 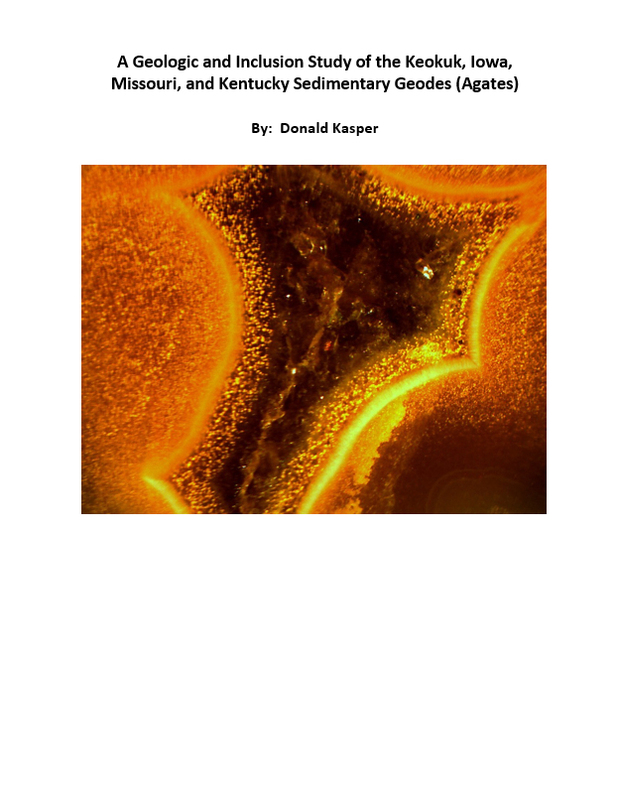 They are studied extensively with a full review of the chemistry of colloidal gel systems. 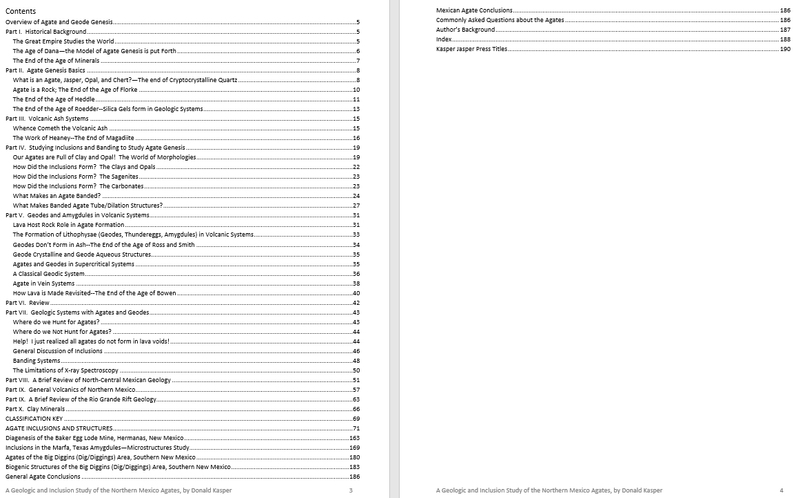 Read the Table of Contents of this book, page 1. 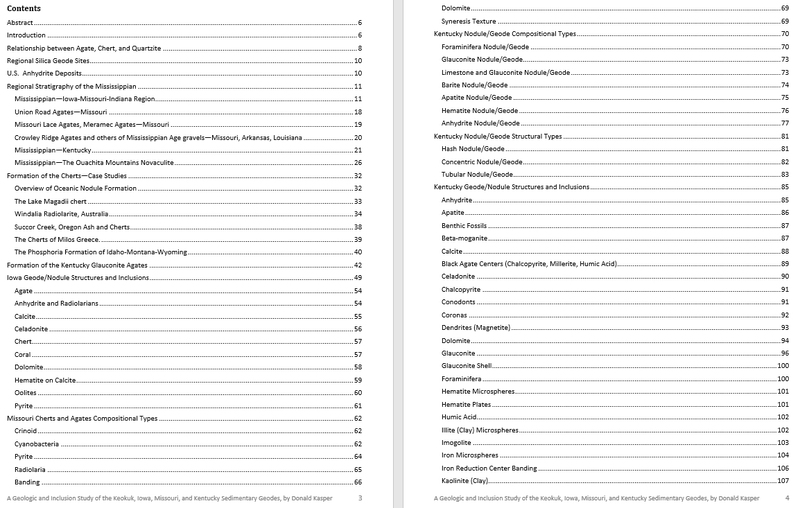 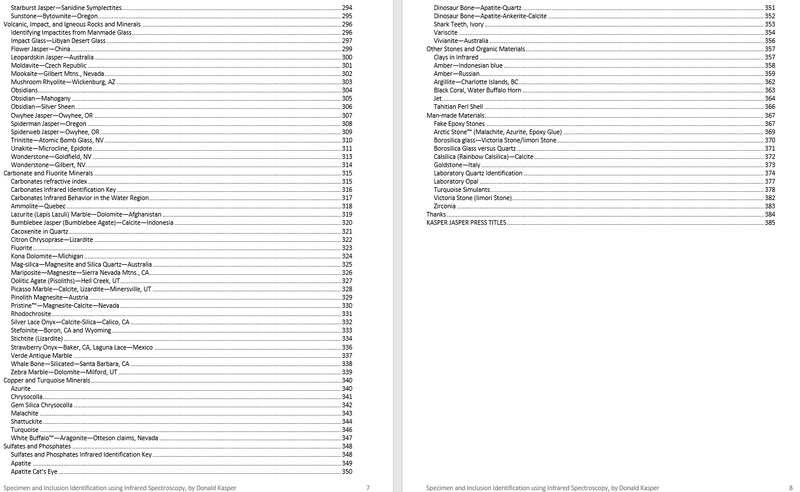 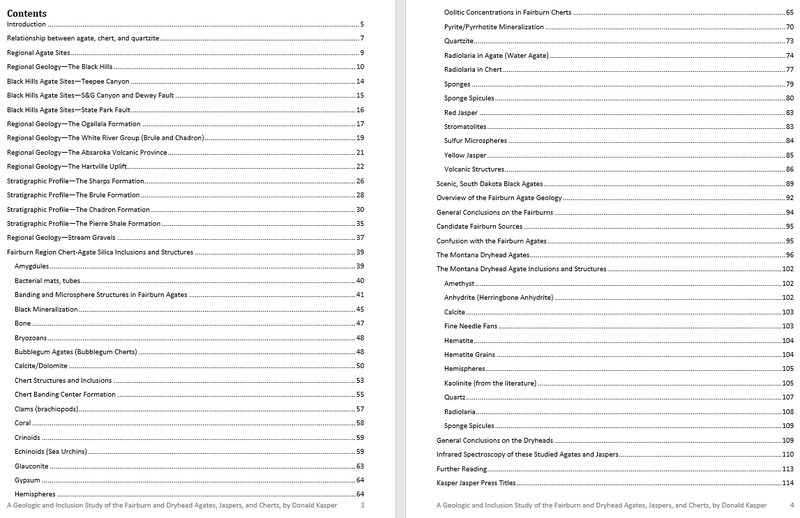 Read the Table of Contents of this book, page 2. 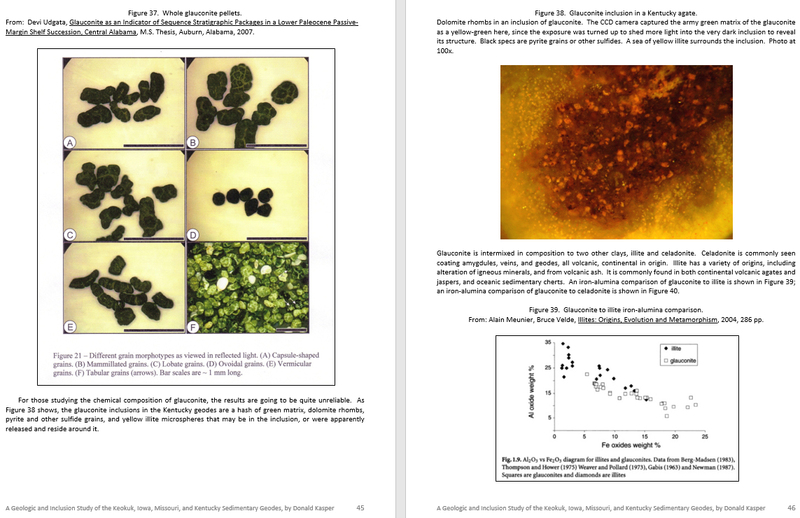 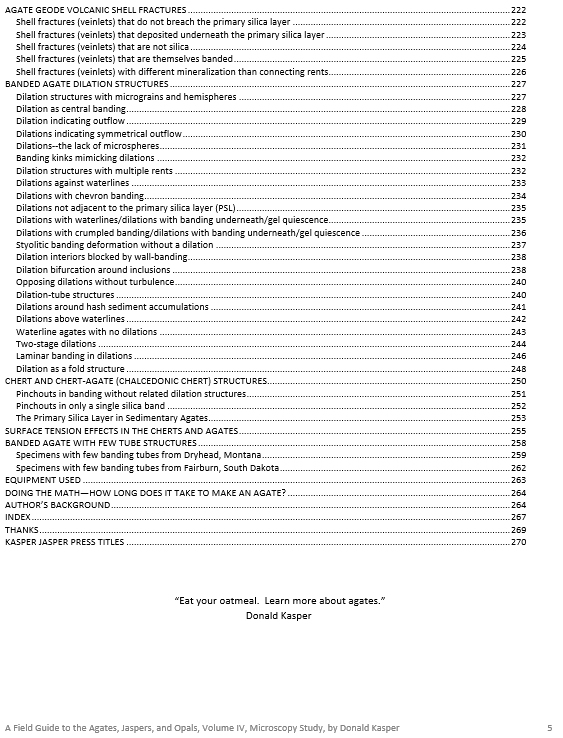 See some sample pages, pictorial. 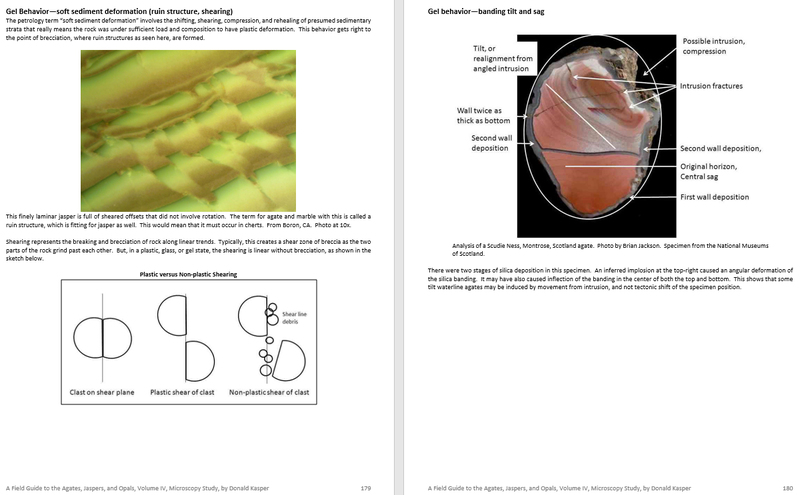 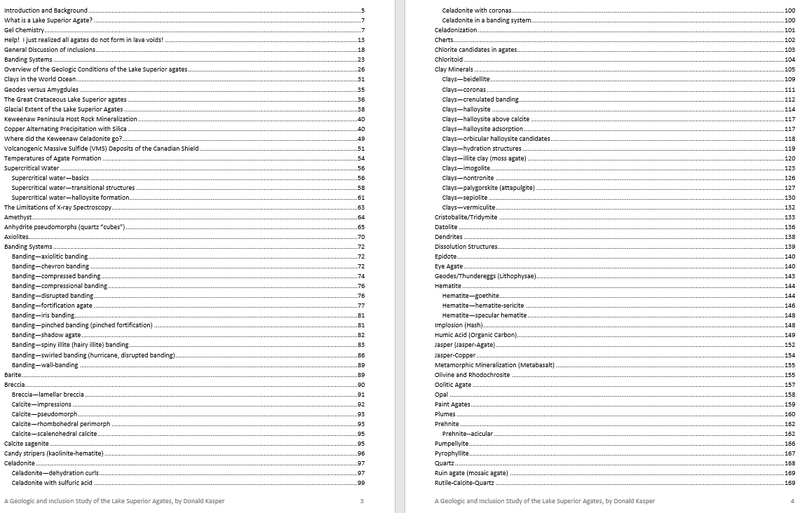 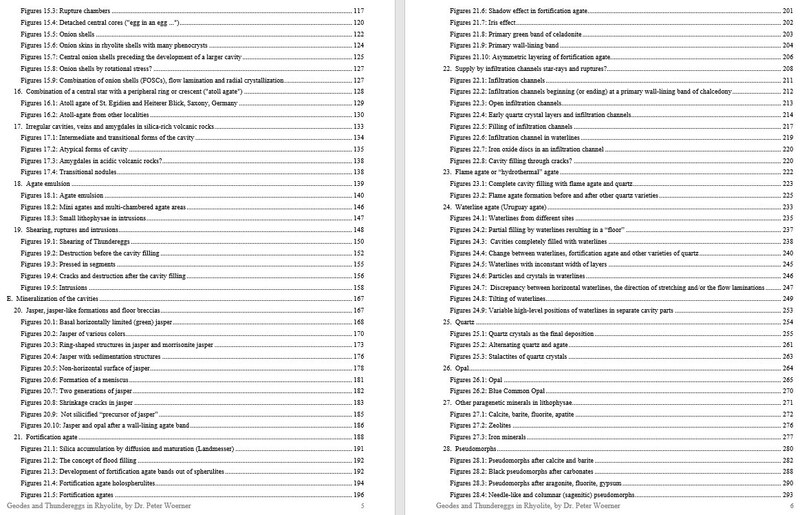 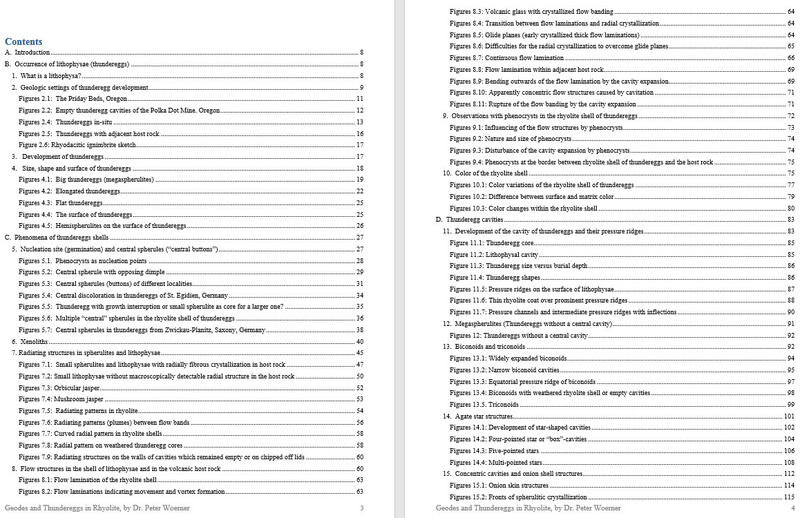 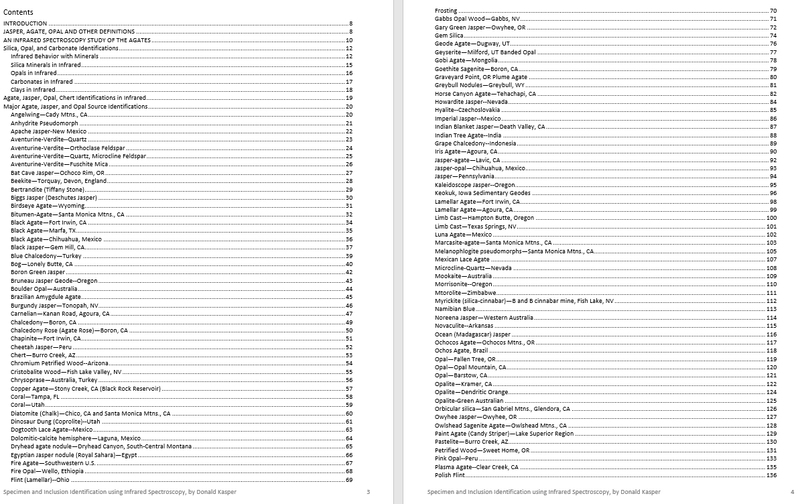 See some sample pages, technical. 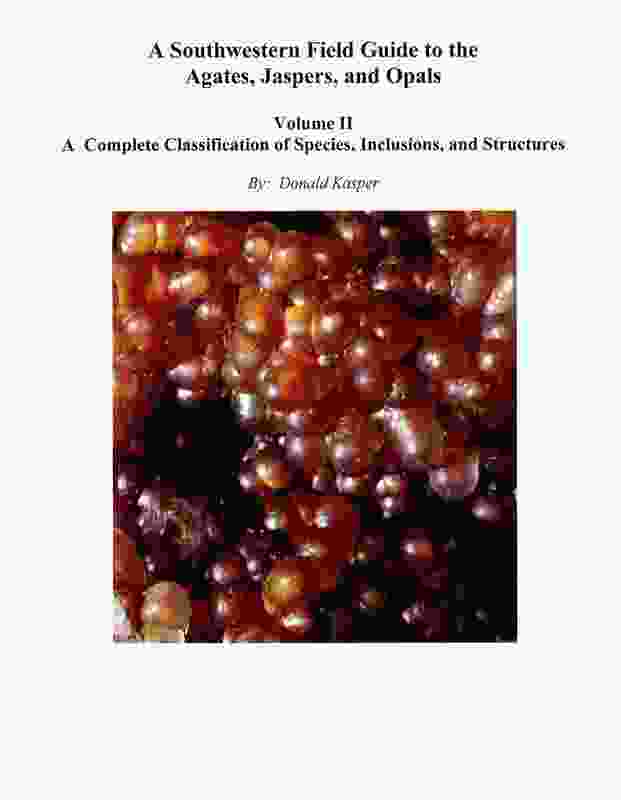 A classification of all agate, jasper, and opal structures and inclusions worldwide, seen with the naked eye. 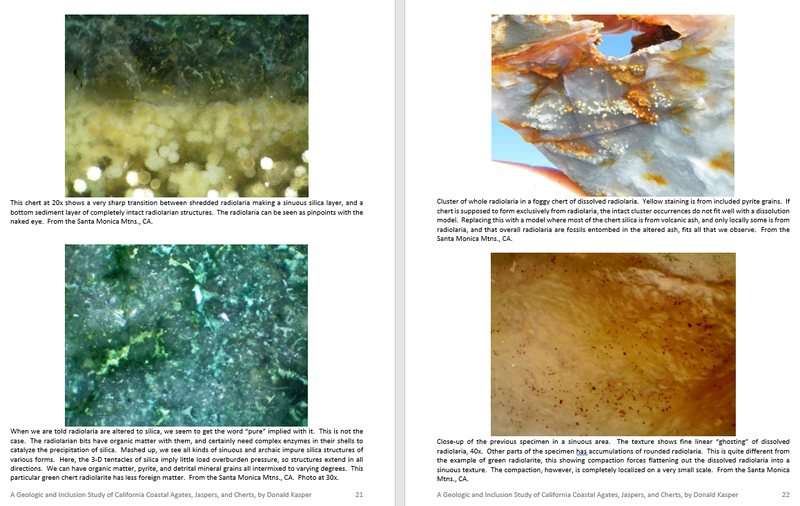 This also includes a full study of the geodes/thundereggs. 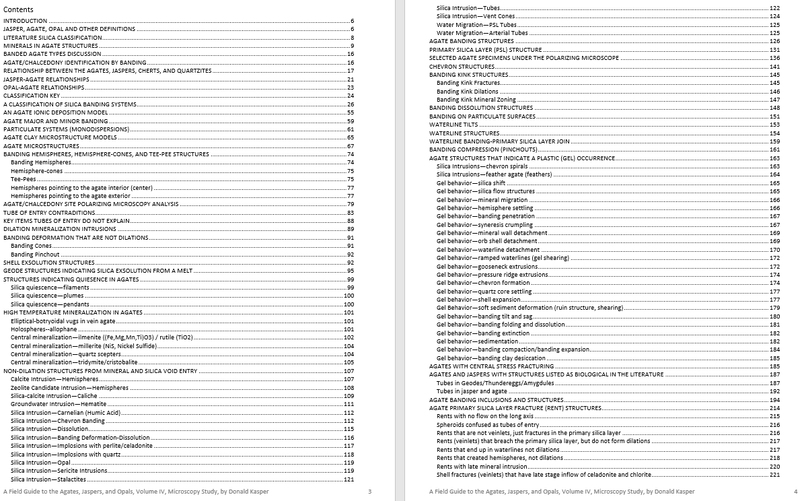 Read the Table of Contents of this book. 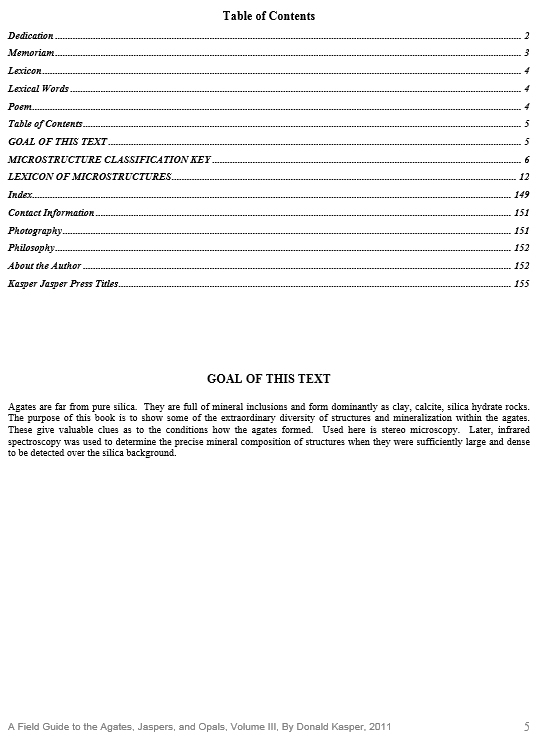 Two sample pages of the lexicon. 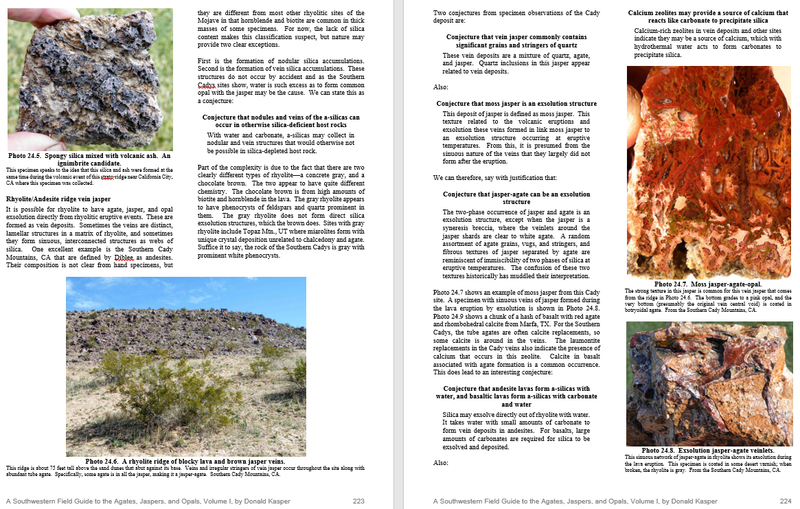 Geologic Collecting Sources of Agates in the Southwestern U.S.
An extension of the Volume II Field Guide, adding a study of inclusions with 10-40x stereo microscopy. 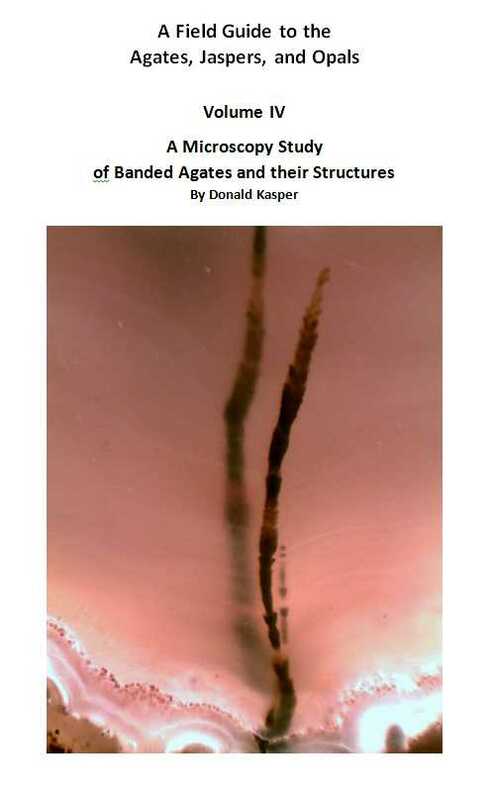 Includes an extensive study of agate and geode inclusions and structures. 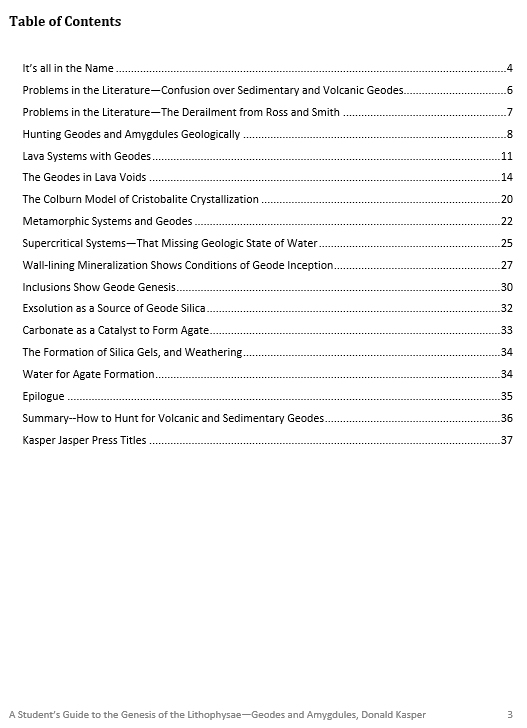 Covers geode structures from many Western locales (roughly 60% of the photography)--the first microscopy study of them ever. 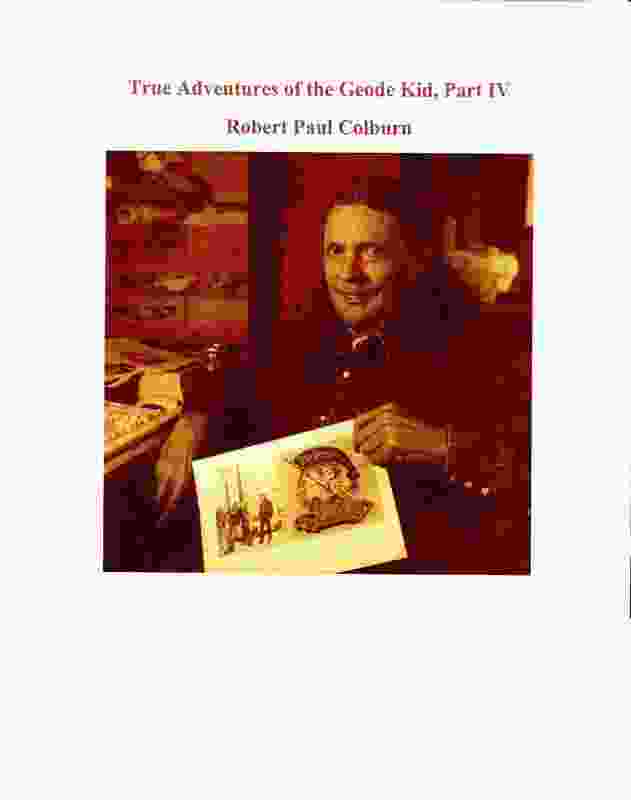 Read a description of this book. 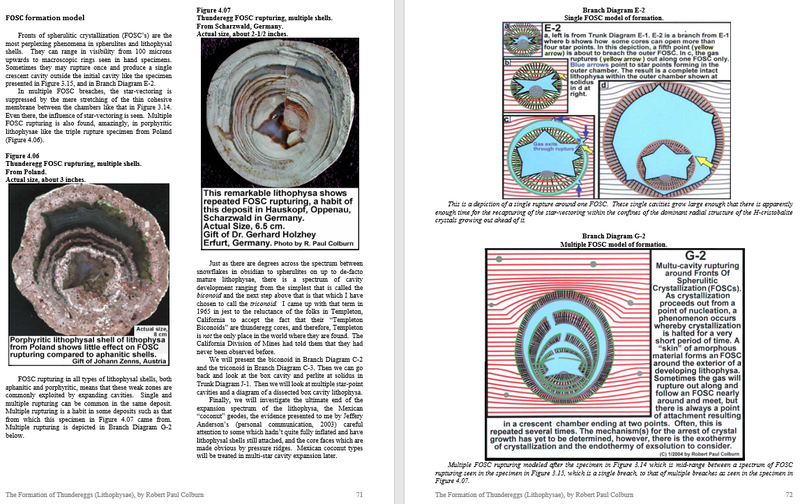 A comprehensive study of agate banding systems using stereomicroscopy and polarizing microscopy. 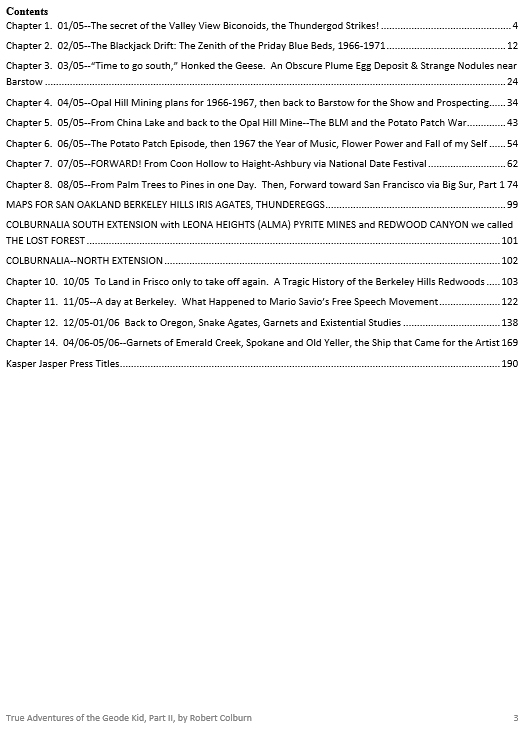 Read the Table of Contents of this book, page 3. 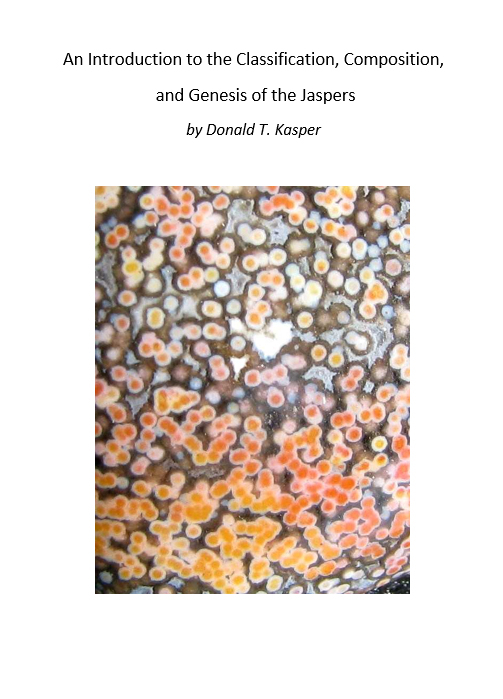 A study of major jaspers, agates, and opals of the world, with a photo of each one scanned in infrared, its graph, and analysis. 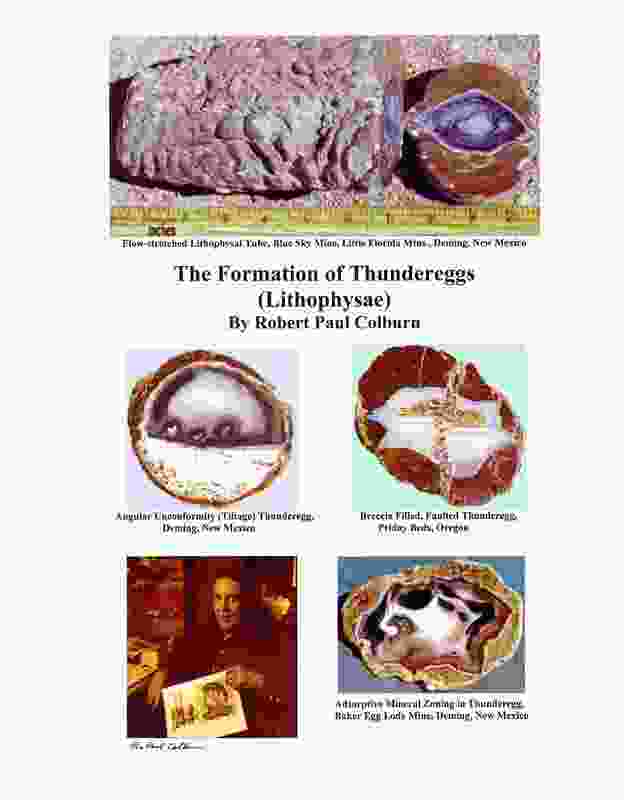 Has study of important stuctures and inclusions, and the clays commonly formed in agates. 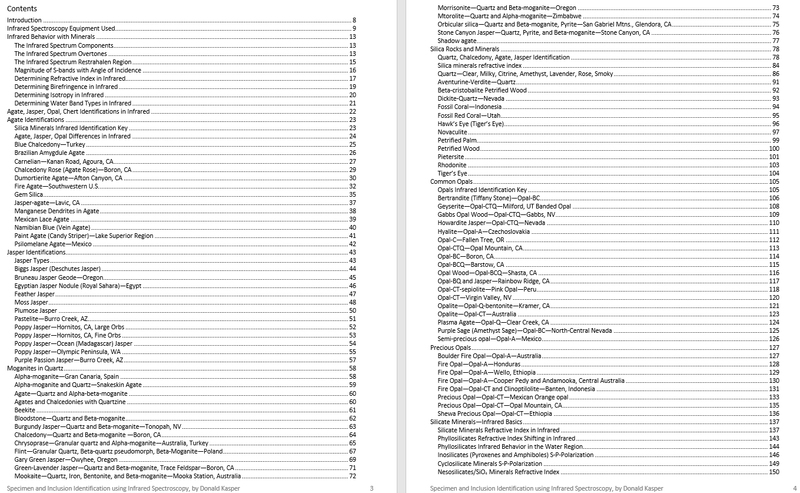 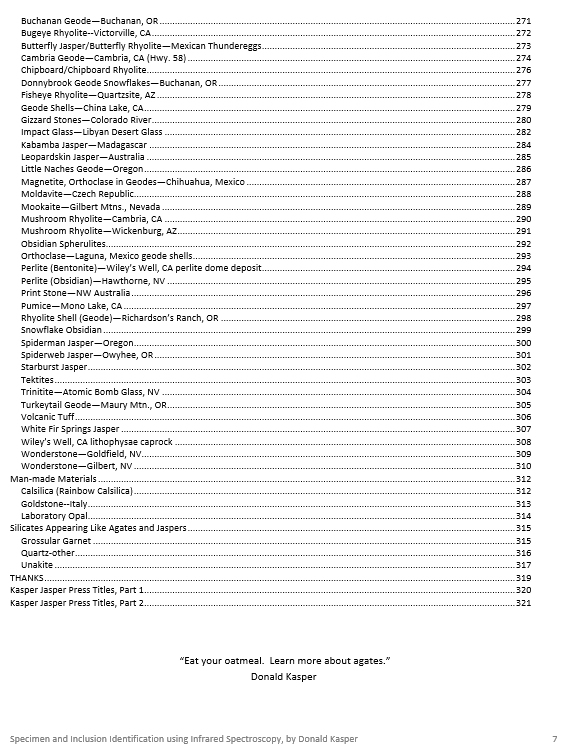 Specimens from major Western U.S. locales are identified. 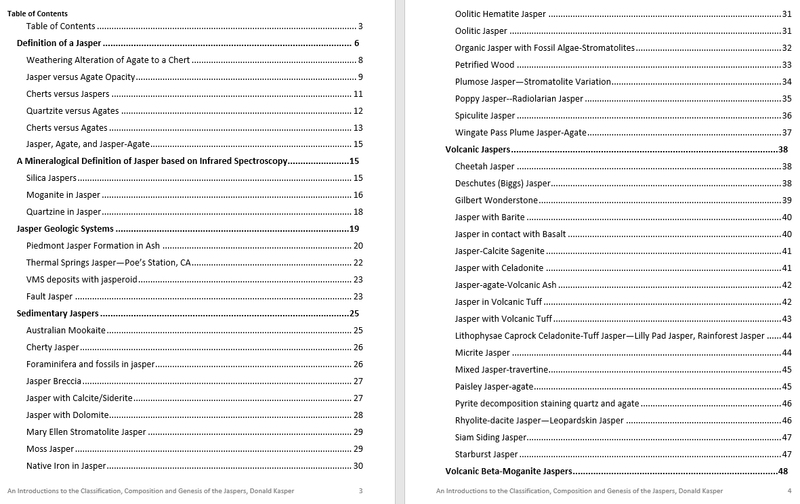 Provides user the training to identify calcite commonly sold as agate, and lava rocks commonly sold as jasper. 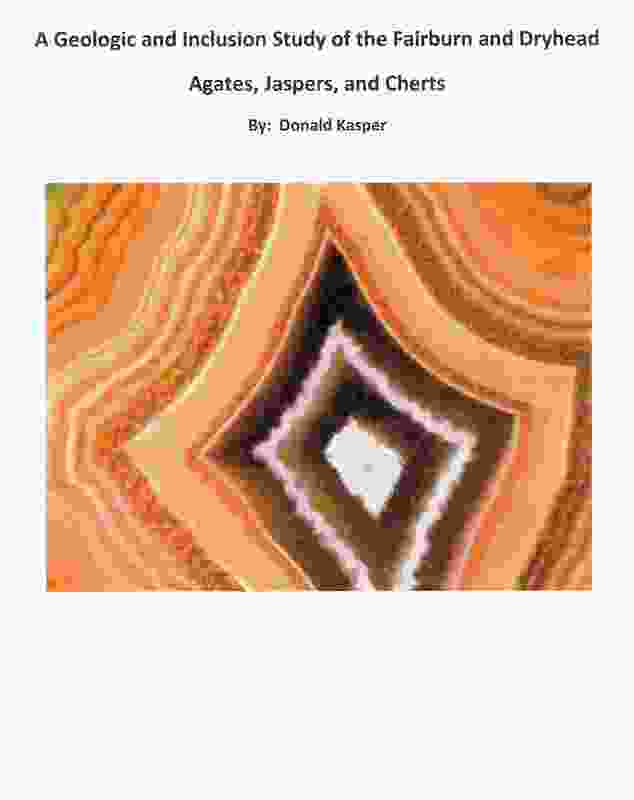 Identifies many current jasper and agate forgeries. 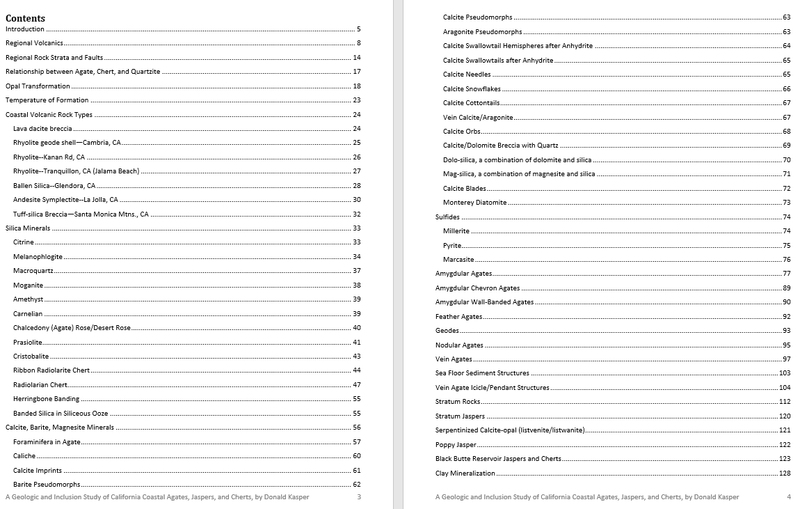 Read the Table of Contents of this book, page 5. 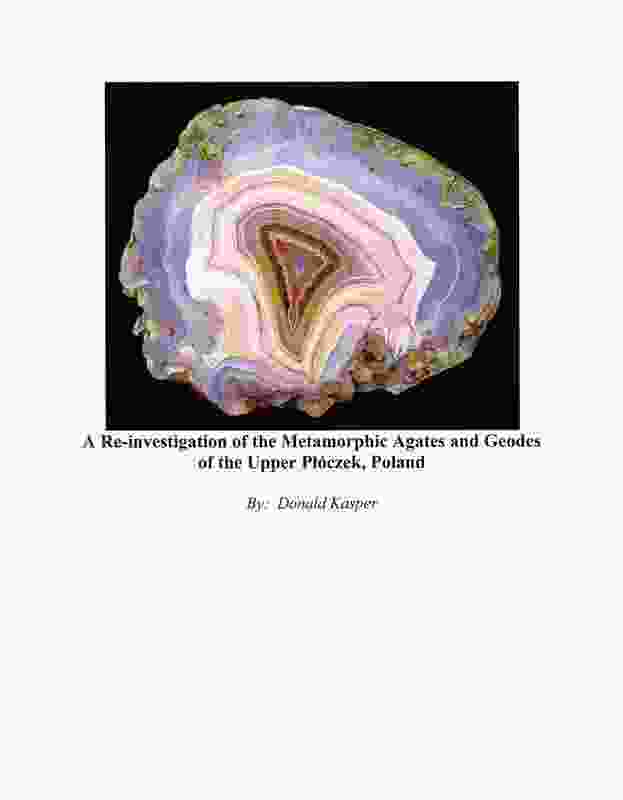 A formidable classic that for the first time took the study of geodes and thundereggs out of the stone age. 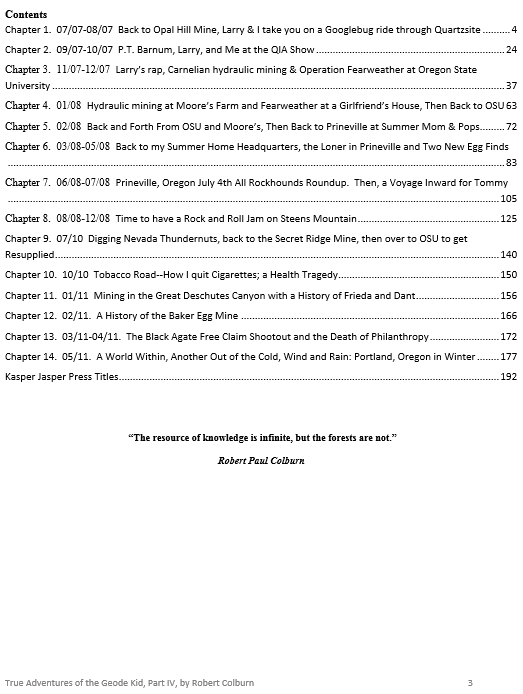 This work is a summary of the findings based on 50 years of Colburn's mining and study of these structures. 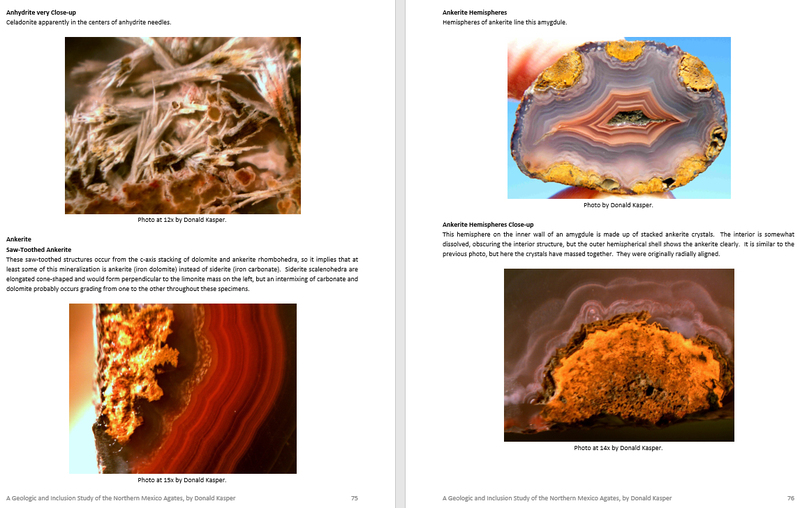 The English translation and revision of the German version titled "Achate in Rhyolithkugeln"
The most comprehensive study and classification of geodes and thundereggs ever written. 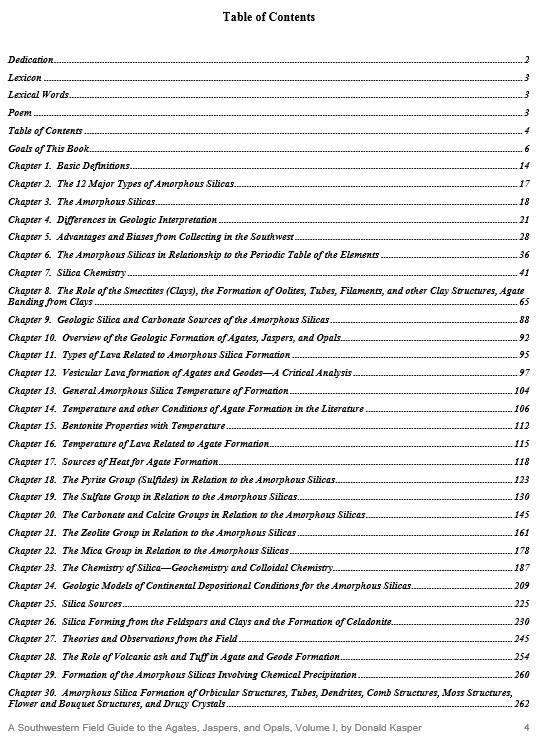 A major work by the author describing this regions' identified agate inclusions and their proposed geochemistry of formation. 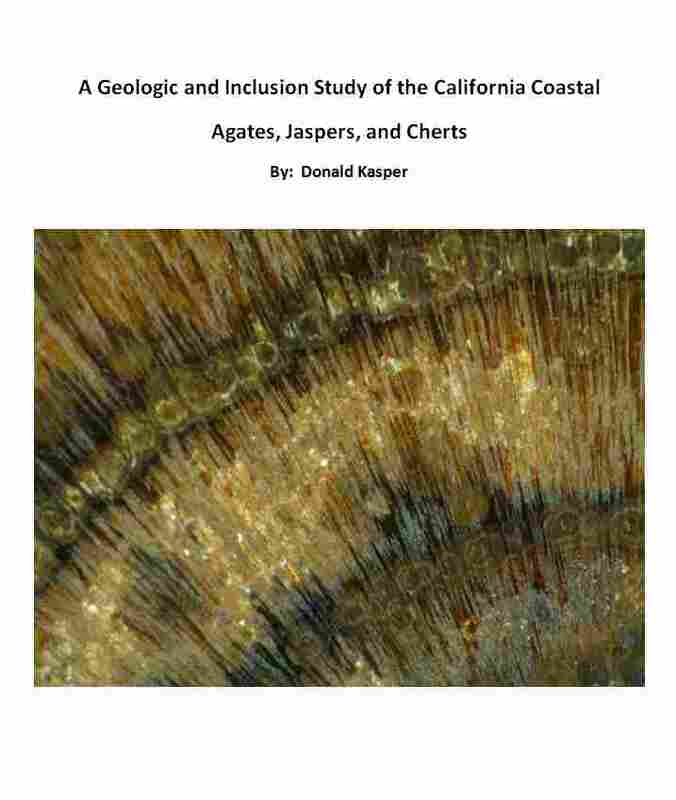 Also includes additional study of the clays in the agates. 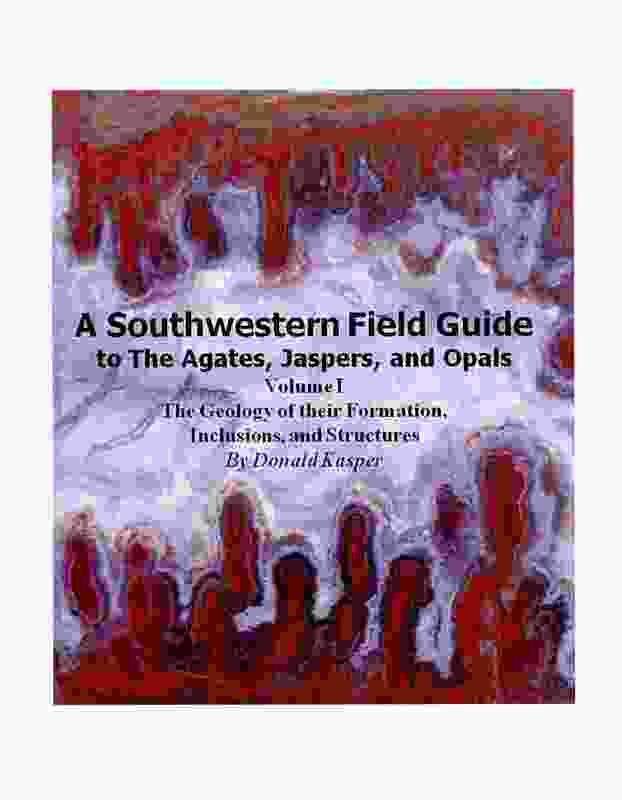 A review of agate genesis modelled by the author, a description of this regions' identified agate inclusions, and the regions' geology. 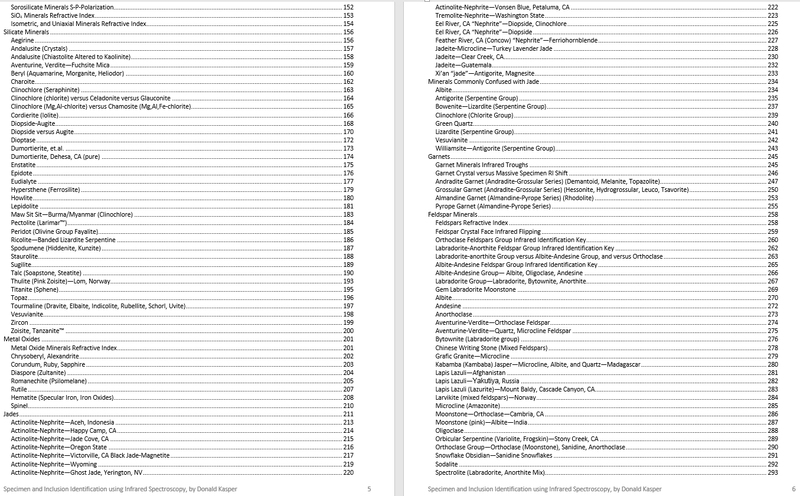 Also includes studies of Southern New Mexico and West Texas sites. 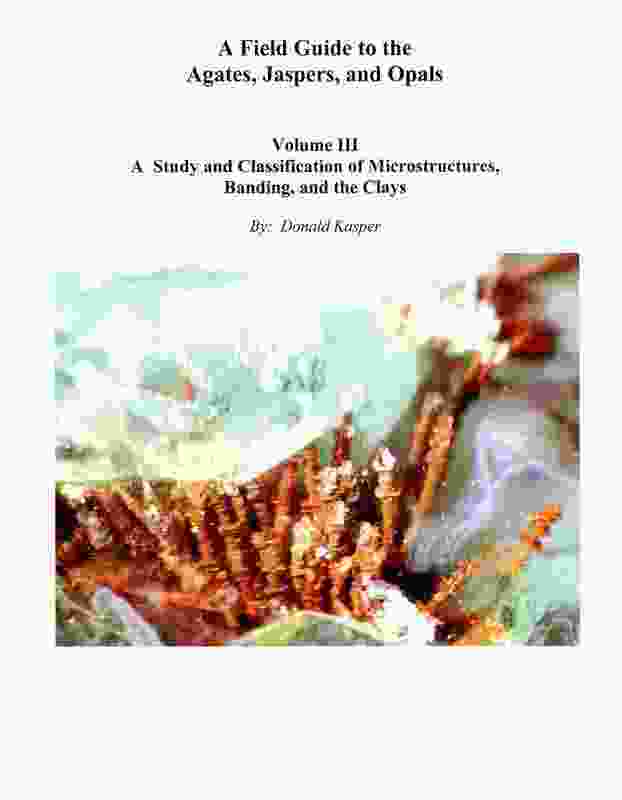 Also includes additional study of the clays in the agates, and a model of basalt-rhyolite formation found in the region. 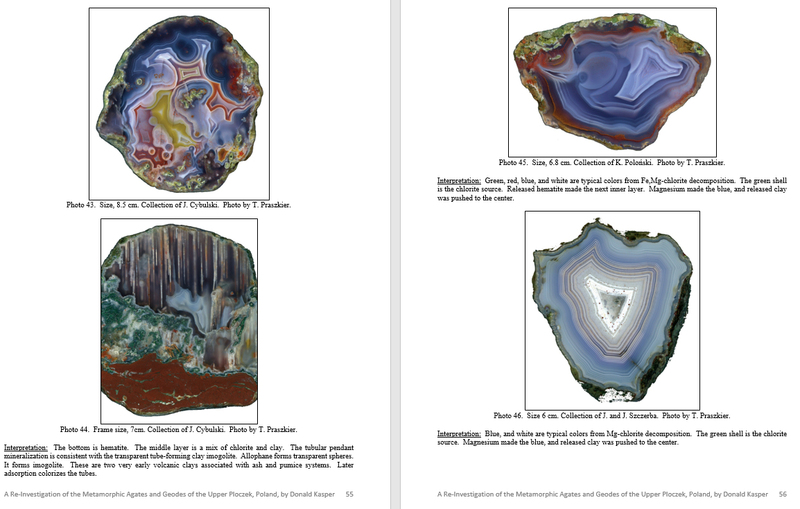 The author reviews the Ploczek photo archive, detailing the sericite and chlorite metamorphism captured in these agates. 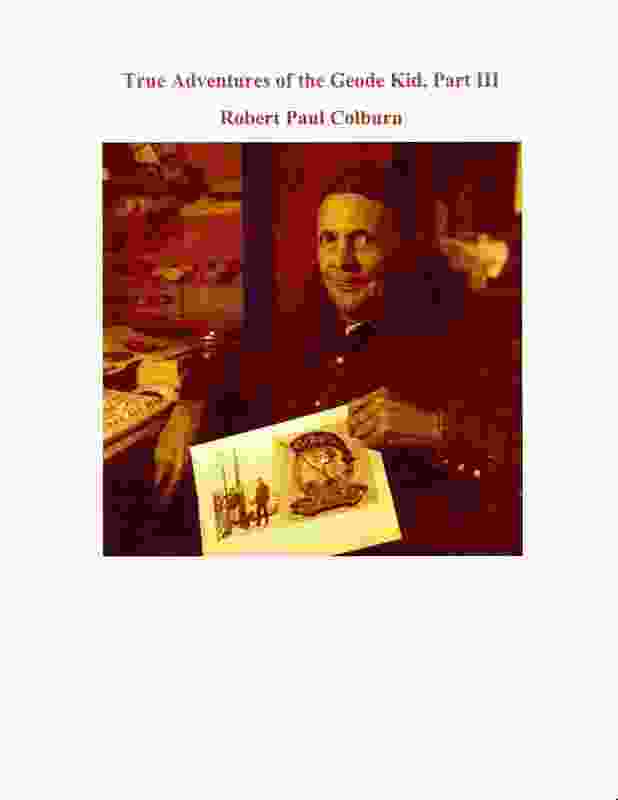 Read an introduction of this book. 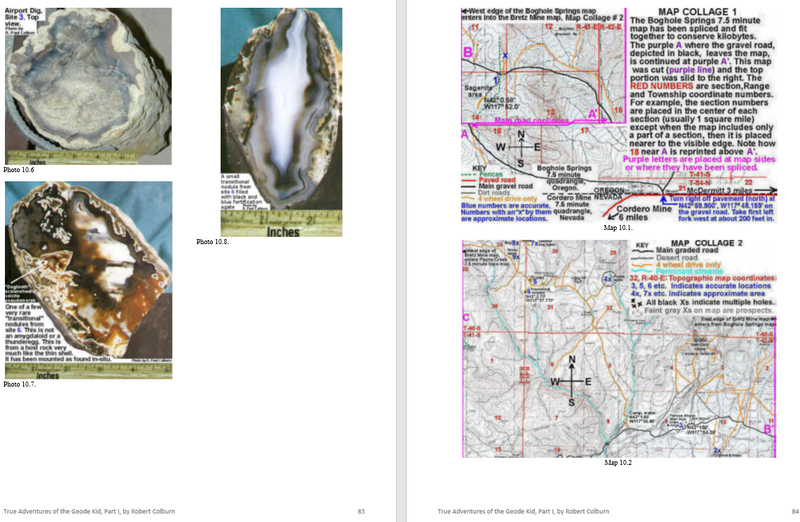 The author reviews the geologic sources of the Fairburn and Dryhead agates, and documents their marine structures as chert-agate nodules. 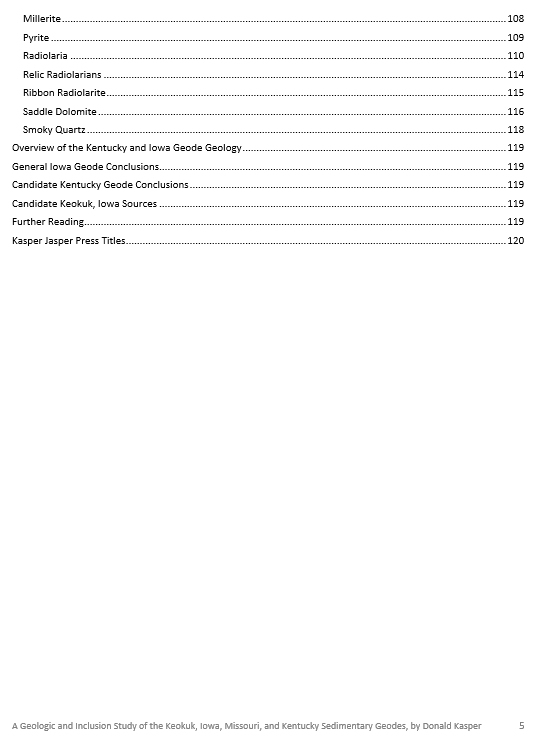 The author reviews the geologic sources of the Iowa and Kentucky sedimentary nodules and geodes, and documents their marine structures. 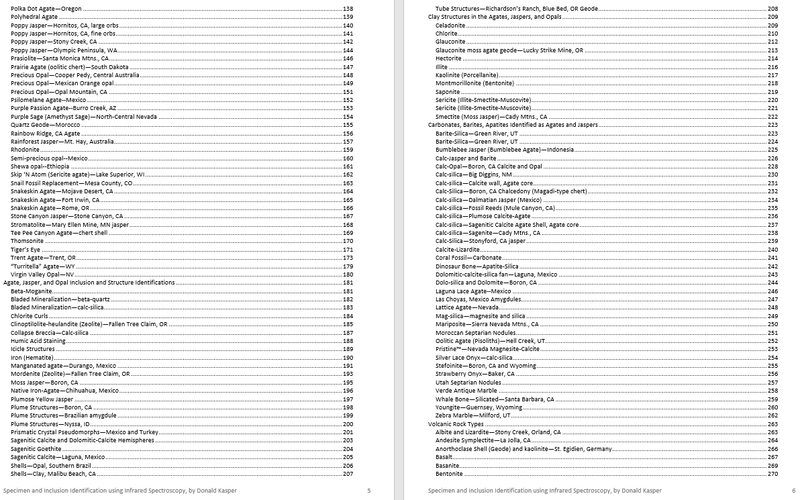 particularly on the San Andreas, Pope Valley, and Santa Monica faults. 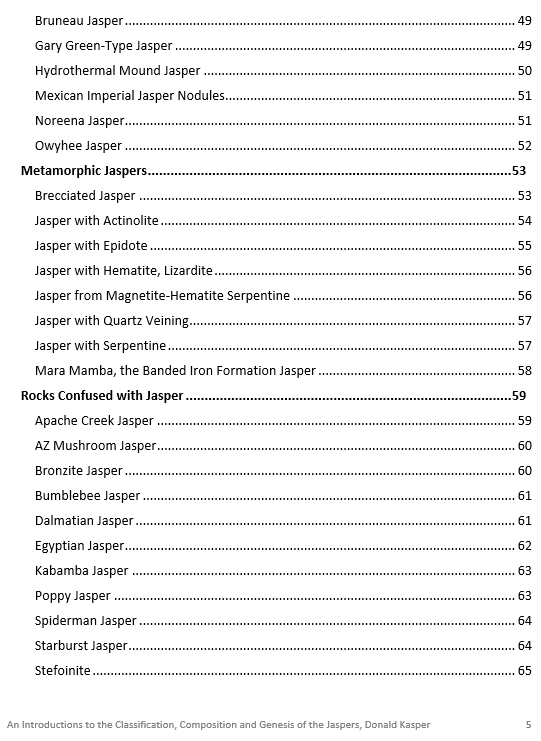 Includes study of Jurassic age Sierra Nevada Mtns front range poppy jaspers. 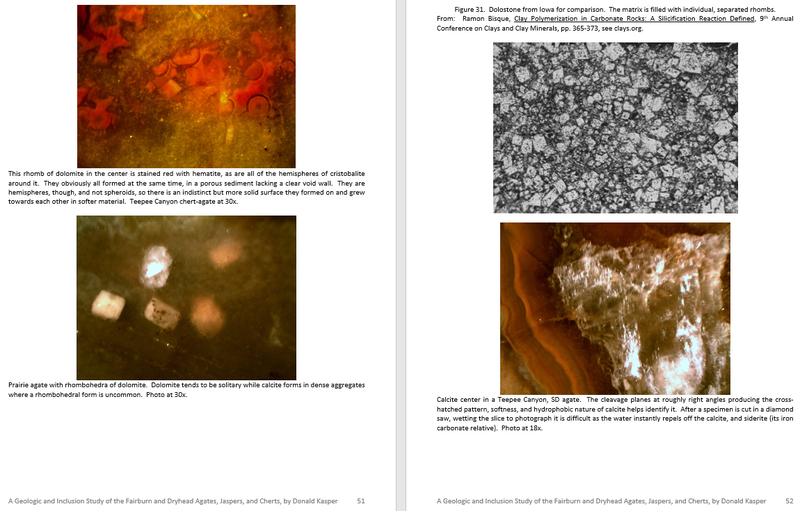 similar appearing silica fossils including coral, cyanobacteria, and radiolarians. 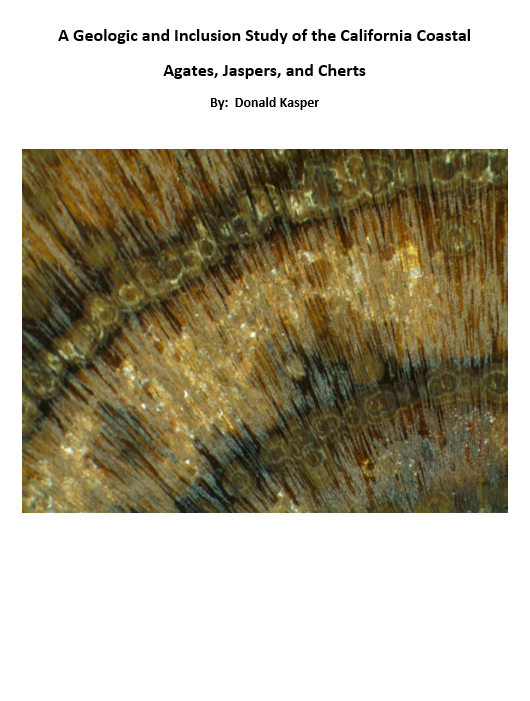 Includes infrared study of the compositions of wood types, and models of their preservation with silica. 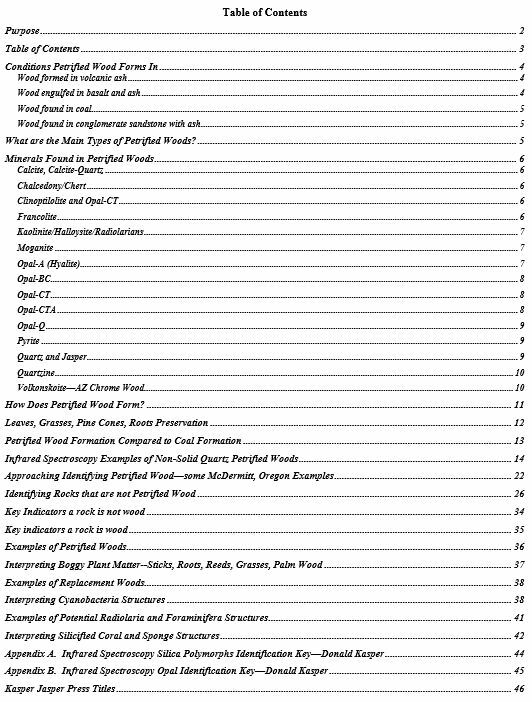 The text does not cover identifying wood genus and species. 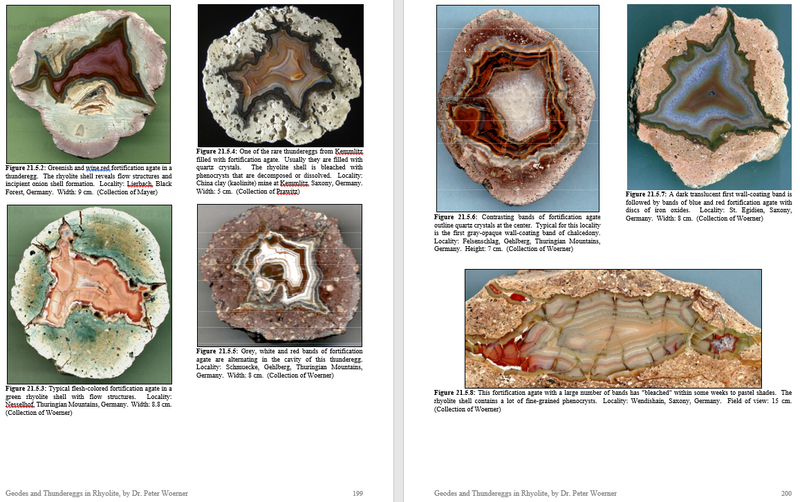 A more detailed overview of the historical literature, geology, and formation of agates and geodes/thundereggs. 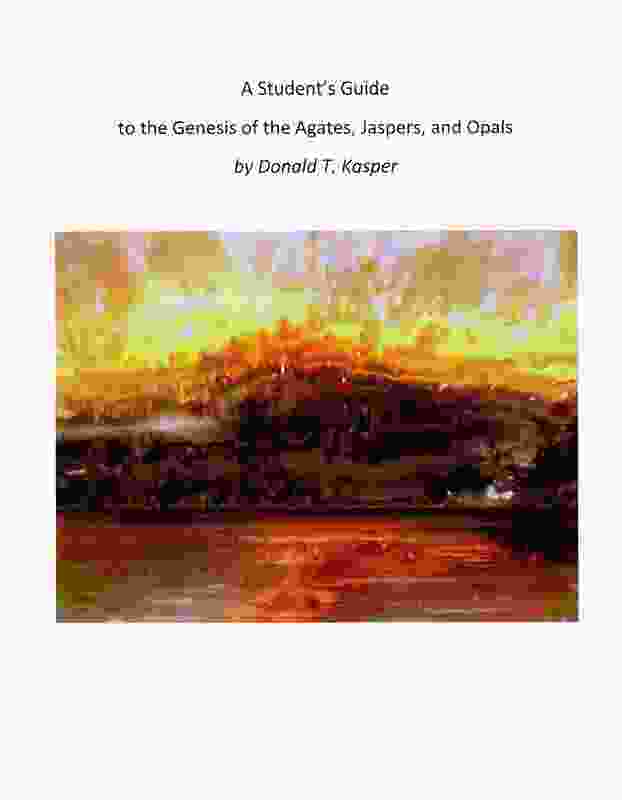 Describes historical errors made in discerning their conditions of formation, and provides a comprehensive, corrected model of formation. 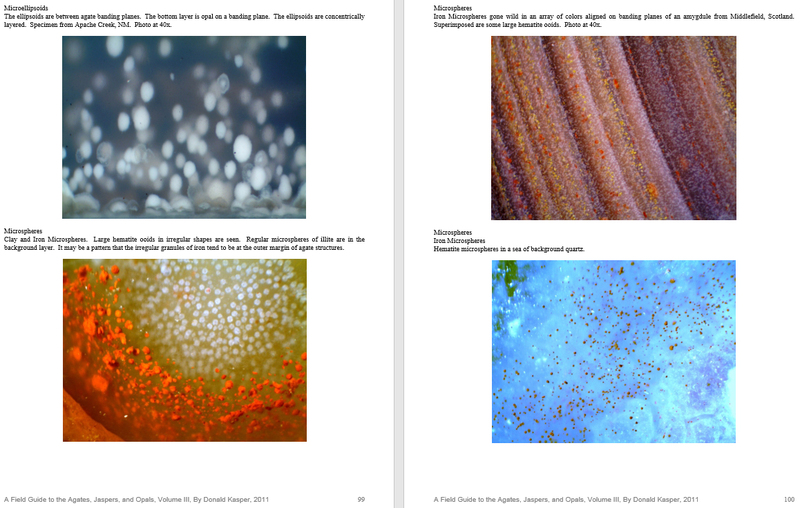 See some of the image sample pages. 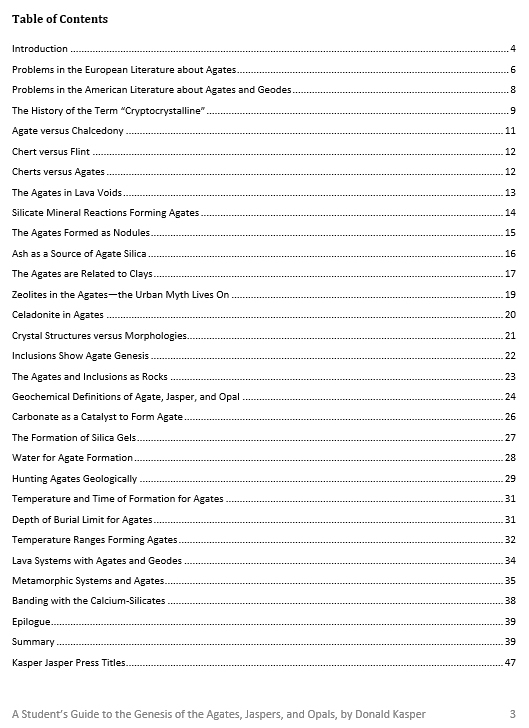 A Rebuttal of Dr. Peter Heaney's interview "How Do Agates Form?"